FITCH is the world's leading retail and brand consultancy with an integrated offer of strategy, design and implementation, with the ability to deliver across all touch points. FITCH is the world’s leading retail and brand consultancy with an integrated offer of strategy, design and implementation, with the ability to deliver across all touch points. 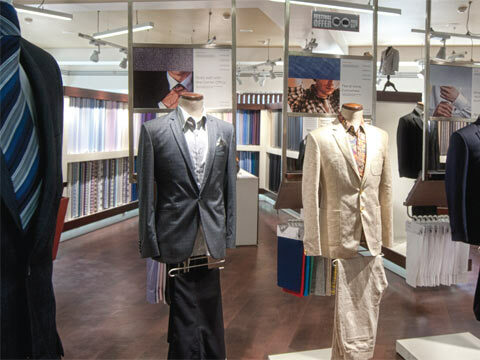 FITCH created an in-store concept combining the sale of superior quality fabrics with bespoke men’s tailoring. Instead of conforming to the will of the masterji, or traditional tailor, men wanting customised clothing can now express their individual style with help from Studio Arvind. The traditional shopping process - a linear two-step, wherein the consumer gives up their power of choice at each point - has been completely overturned by a radical new model at Studio Arvind. Conceived to spark consumer dreaming,Studio Arvind places the customer firmly at the heart of the experience by bringing together the fabric and the masterji.Resultantly it creates a platform for customers’ individuality and expression. This 4,000 sq ft store revolutionises the art of custom clothing for men in India, completely shifting the deep-rooted traditional balance of power between customers and their ‘masterji’!